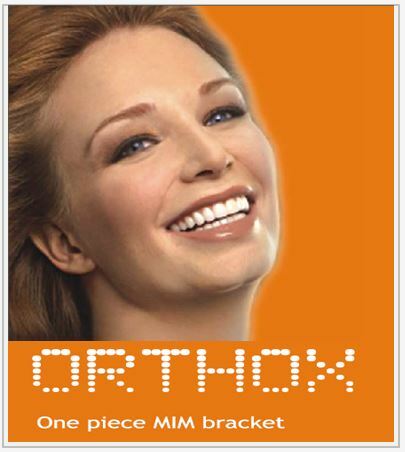 Orthox metal bracket is a Metal Injection Moulded one piece bracket. The low profile design provides comfort for patients. The bracket has CNC Slot which gives precision and accuracy in design. 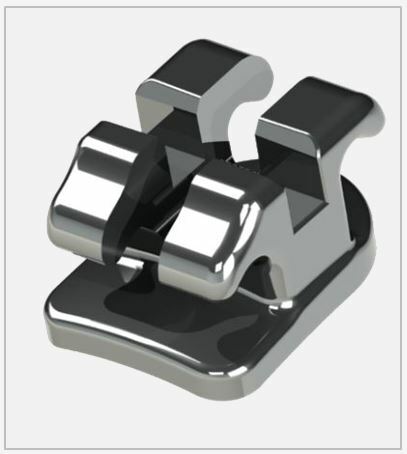 Torque is incorporated into the base of each bracket to get ultimate precision and control during the treatment. Orthox brackets and buccal tubes work as a system, moving the teeth to achieve class I molar relationship. They are designed with exact angulations, allowing all the roots to align parallel. 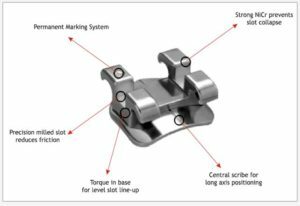 The base of each bracket is anatomically contoured so that all slots align in harmony throughout the arch at the end of the treatment. 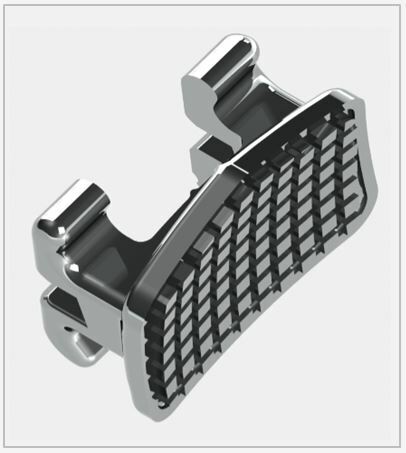 The low profile reduces bracket height, with the same in/out, providing more comfort to patients. 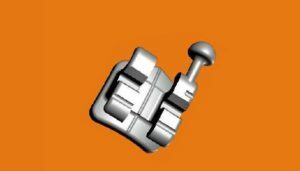 The mesh lock base provides one of the strongest bond strength available for one piece bracket which is achieved by Instron machine that delivers 9 mega pascal bond strength. All Orthox brackets are micro etched on the base. The mushroom shape of the hook offers best locking of chains and accessories increasing patient comfort and reducing irritation.